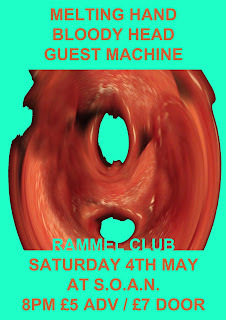 RAMMEL CLUB #99 - Melting Hand, Bloody Head, Guest Machine, At Stuck on a Name. 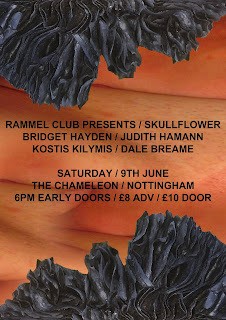 Saturday 4th May. 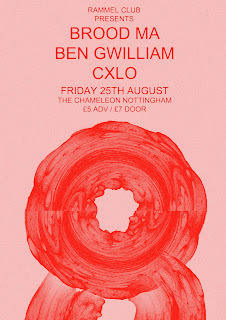 Psychedelic rock from members of Terminal Cheesecake, Luminous Bodies, Bong, Blown Out and more. "Pivoting between floating on a cloud of krautrock and being sucked into a psych-freakout, Melting Hand’s cosmic experiment is testament to the North-East’s somewhat under appreciated experimental scene". 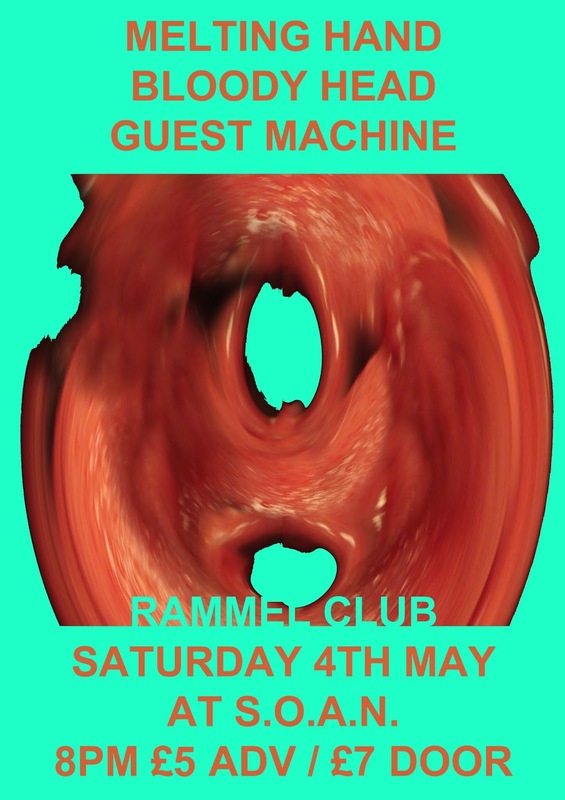 Guest Machine melds qualities of industrial, trance and ambient sound through the medium of live looped bass guitar and vocals.